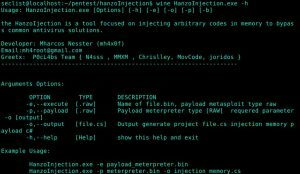 Browse: Home / hanzoInjection – injecting arbitrary codes in memory to bypass common antivirus solutions. 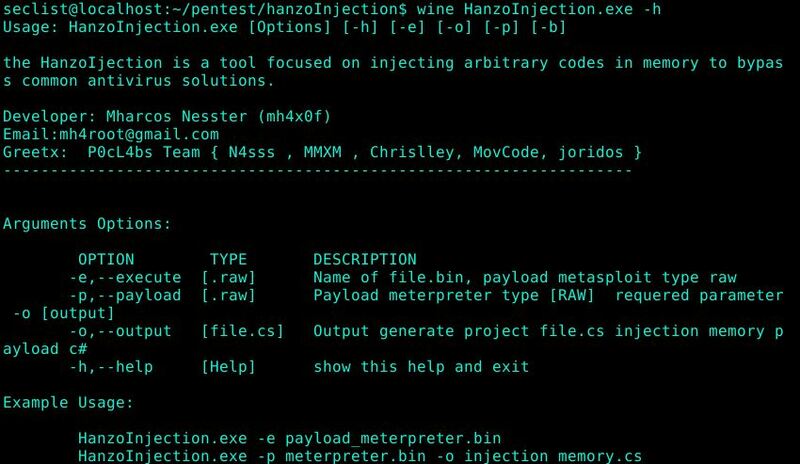 the HanzoIjection is a tool focused on injecting arbitrary codes in memory to bypass common antivirus solutions. 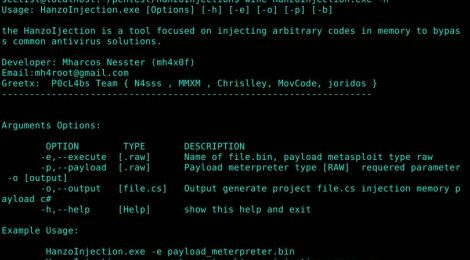 with function; Payload meterpreter generators. ← pywerview – A (partial) Python rewriting of PowerSploit’s PowerView.